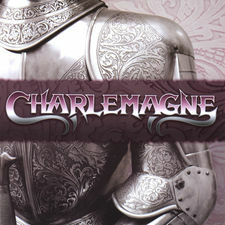 The band CHARLEMAGNE was formed during 1987. Scott and Raymond had moved to Hollywood, California in September of 1986 when Scott was scheduled to begin the 1986 - 87 sessions at MIT (Musicians Institute of Technology). It was during that time that Scott met Ken Kowalski who was attending PIT (Percussion Institute of Technology) and Lee Brian who was attending BIT (Bass Institute of Technology). While it was common practice for students from all of the schools to play together during Live Playing Workshop, Scott, Ken, and Lee never actually played together during those times. Scott had observed Ken and Lee playing with other players at various times and after hearing the both of them, he approached them on different occasions to discuss the possibility of forming a band outside of school. Several rehearsals were scheduled to explore this possibility after which it became obvious to all this was to be a great fit indeed. After a year of three practice nights per week, the band felt ready for the Los Angeles club scene. One interesting side note was the rehearsal space that the band used. In the middle of the industrial district of Los Angeles in a city called Vernon was a lockout rehearsal facility named “Francisco’s Studios”. Francisco’s consisted of two buildings with a total of 117 rehearsal rooms all rented by the month. On any given night throughout the week, literally 90% of the rooms were filled with many local rock acts rehearsing their shows. Since these rooms allowed 24-hour access, bands rehearsed at all hours of the week. It was not uncommon for 25 bands to be rehearsing at 7:00am on a Sunday morning. Another interesting tidbit was the Purina Chicken Feed factory located about a quarter mile from Francisco’s. During the summer, the odor produced from that factory was unbelievable heavy. When CHARLEMAGNE joined BMI in 1990, the membership application required five possible names for membership. While it was easy to come up with the first four name possibilities, a fifth eluded the band. In an act of frustration, the fifth name submitted was “Boiling Beaks Music” which was coined from the process used at the Purina factory to manufacture chicken feed. Sure enough when the application was accepted, BMI used “Boiling Beaks Music” as the name. That name is still registered with BMI today. CHARLEMAGNE played at all the major clubs in Los Angeles and Orange County, including those on Hollywood’s Sunset Strip. While most bands were using the typical equipment setups, everyone in CHARLEMAGNE used rack-mounted rigs, including Ken. A friend in another band noticed they were pretty much the only band in town doing this, and nicknamed CHARLEMAGNE “The Rack Band”. 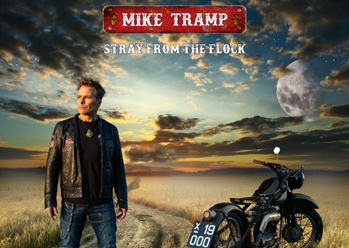 The name stuck with many friends in other bands. 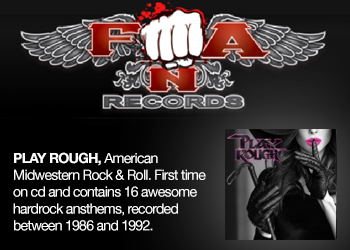 The late 80’s and early 90’s were truly a historical time in the evolution of Rock and Roll. 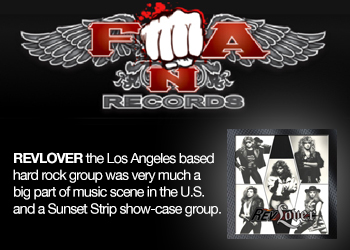 Great hair, cool clothes, and “Shred” guitar defined the thousands of bands that played the Hollywood circuit. Seven nights a week, Hollywood was filled with bands and fans that made no apologies for their culture. It was the pinnacle generation of musicianship and a time when music was intended to be fun and make you feel good. The rest of the world followed the trend set by the Hollywood bands. All who were fortunate enough to be a part of it in Hollywood will attest to the electricity that fueled the Hollywood “Hair Band” era. It was a magical time when Rock stars were really Rock stars. The sad thing is that there was just not room enough for everyone, so a lot of great bands didn’t catch a ride on the “Record Deal” bus. Ask any member of any of the bands who were there about Hollywood in the 80’s and early 90’s, and most will agree it was still the best of times when history was being made.